My last blog post introduced Jacob Gross, an early Mennonite bishop of Deep Run. He had many descendants, including myself, who lived in eastern Pennsylvania; but some of the most interesting characters lived elsewhere. An affluent and influential branch of the family were descendants of Jacob Gross Jr. (1780-1865) of Canada. Like his father, Jacob was a Mennonite bishop who was progressive and evangelical. Unlike his father, the younger Jacob was eventually silenced and left the Mennonite Church to join the Evangelical Association. Thus, in the sectarian climate of the day, his descendants were largely forgotten by Pennsylvania cousins who remained Mennonites. The family of Jacob Gross Jr. followed interesting migration patterns in the 19th century. Jacob Jr. left his father’s home in Bucks County, Pennsylvania to pioneer in the Niagara Peninsula of Ontario – “Canada West” – around 1815. He married Anna Moyer, the daughter of a fellow pioneer, and they had five children. When Anna died from childbirth at age 28, Jacob remarried to Salome Moyer of Pennsylvania, daughter of Mennonite deacon Samuel Moyer of Blooming Glen, and they had two more daughters. Of Jacob’s seven children, two remained in Ontario; the others returned to the United States. Their 27 children spread from coast to coast, settling in Pennsylvania, New Jersey, New York, Michigan, Iowa, Missouri, Kansas, Texas, California, Montana, Washington, and British Columbia. 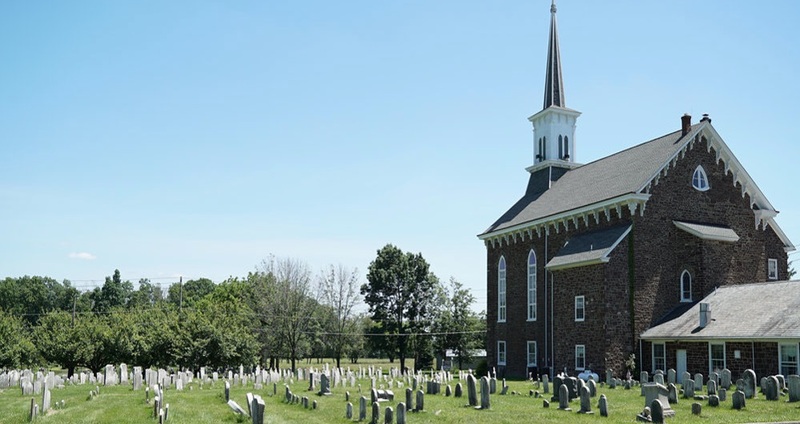 This is more rapid movement than many Mennonite families undertook, including Jacob’s siblings; but Jacob’s family were no longer Mennonite, and likely had less religious compulsion to stick together. Jacob’s oldest son, Samuel (born 1818), decided to farm in southern New Jersey, near the town of Vineland, along with a cousin from Bucks County, Pennsylvania – Christian Gross – who had married yet another cousin from Ontario, Anna Moyer. Samuel’s two children, William and John, eventually struck out and headed west. William ended up in Erie, Pennsylvania, where he worked for lumber merchants and managed a couple fishing trade companies. 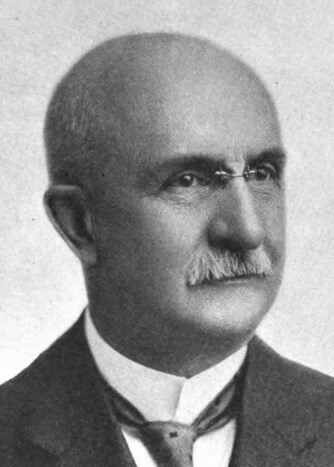 He was remembered by genealogist A. J. Fretz in the Moyer Family History (1896) as “a finely educated gentleman and a writer of superior ability…. His library was a very complete one, and he was a well informed man on most any topic. He was also the author of very good poetry possessing a charm which brought out the noble instinct in man.” William married but had no children. His younger brother John R. Gross moved to Galveston, Texas, where his obituary called him “a retired capitalist of this city.” He was co-founder of the Galveston Dry Goods corporation, and resided in an elegant home at 1103 33rd Street, that stands today as the Mermaid & Dolphin Resort. His descendants mostly remained in Texas. 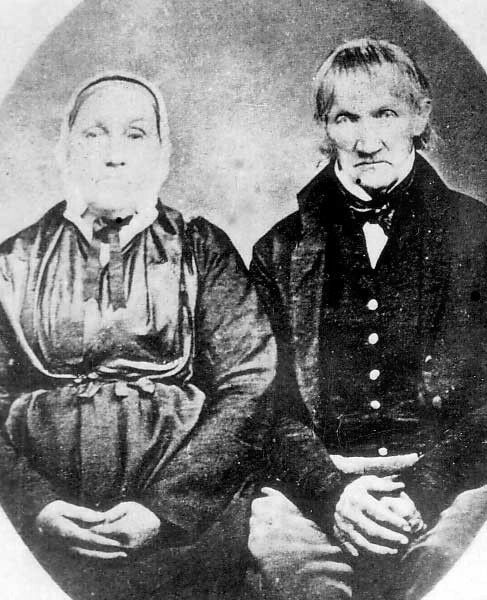 Jacob’s daughter Mary (born 1820) married a man name Christian Bushey, and they moved to New Jersey for a time (where two of her children died as young adults). The other children moved west, and unlike her brother Samuel who remained in New Jersey, Mary followed her children, settling finally in Fremont County, Iowa, where she died in 1905. Some of her children went further west. Son George died in Tulare County, California, and daughter Mary Ann (Hibbard) in Spokane, Washington. Son John and daughter Anna (Billeen) lived close to mother on the Iowa-Missouri border; but son Isaiah, a medical doctor, moved south – way south – to Mission, Texas, on the Mexican border, where his son Galen was a pioneer citrus grower. One of Mary’s descendants in Washington State, Kass Anderton (1949-1997), lived a heroic life battling several disabilities. She was born with Marfan syndrome, a genetic condition that produces abnormal height and lanky extremities, and contracted HIV/AIDS from a blood transfusion in the 1980s. She later developed breast cancer and aneurysms, one of which took her life at age 47. Kass did not waste the time she had – she founded a support group for women with AIDS and a group for people with Marfan syndrome. She served on the Governor’s Committee on Disability Issues and Employment and the regional HIV/AIDS Planning Council. The seven children of Jacob’s daughter Anna (Housser) (born 1822) remained in Ontario, except for one, Gideon, who became a lumber merchant in Vancouver, British Columbia. Three of her children never married; two others married but had no grandchildren. The two who did have descendants had very successful descendants. Jacob’s son John (born 1825) moved from Lincoln, Ontario east to Welland in 1872, when the city was in its infancy. He founded one of the first industrial enterprises there, a pump manufactory. Born the son of a Mennonite bishop, John converted to Methodism in young adulthood, with his parents and siblings – but he eventually went further and became a Spiritualist, believing that departed souls continue to evolve and can communicate with the living through mediums. At least one of John’s children – Salome, named for her step-grandmother, Salome Moyer Gross – continued in the Spiritualist faith. Another daughter, Mary, married William Burgar, medical doctor and prominent horse breeder of Welland; and daughter Lucetta was an active nurse and hospital administrator across the Niagara River in Buffalo, New York. Son Frank was a lawyer who served as city solicitor for Welland, in which role he was followed by his only son, Douglas Gross. Jacob’s daughter Elizabeth “Betty” (born 1827) had perhaps the most surprising journey. She married George Eggert, a medical doctor who immigrated from Switzerland in 1831. He became a surgeon for the Union Army during the American Civil War and after the war moved his young family to North Carolina, where he set up a medical practice in Greensboro. Betty’s daughter Lystra (1858-1951) married John Gretter, a Confederate veteran who was a deputy U.S. Marshall. He died when Lystra was 26 years old, leaving her with a toddler daughter in the Buffalo, New York area. She became a nurse to support herself, and within a year was made superintendent of the nursing school at Harper Hospital, Detroit, Michigan. 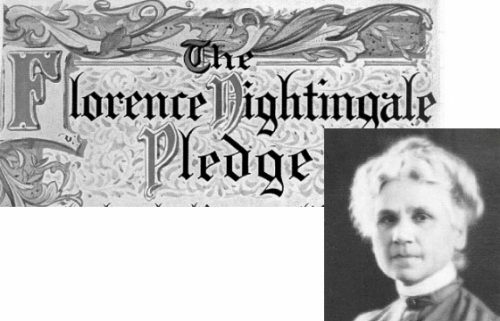 Gretter herself said: “Improved education, sublimated by spiritual gifts and graces, will develop nursing into a wider, more helpful ministration patterned after the example of Him who went about doing good.” The “Florence Nightingale Pledge” that she wrote in 1893 has been used across the nation at nurse capping ceremonies for over a century. You can read more about her contributions here. Ironically, while Lystra was busy with important work, her two siblings died tragic deaths. Sister Ida died at age 29 in 1893. She was living near Buffalo, perhaps in an institution. According to a newspaper account, “while suffering from delirium, she escaped from her room unseen on Monday eve; when found she was nearly a mile from home, unconscious, lying on the ground; she must have lain a long time in a drenching rain clad only in her night clothes.” She died two days later. Also in New Jersey lived Susanna or “Susan” Gross (born 1834), daughter of Jacob Gross and second wife Salome. In 1913 Susan lived in West Hoboken, NJ, according to her sister’s obituary, but beyond this I could find no information. I suspect she was not married, since her name was Gross. The sister who died in 1913 was the last of Jacob’s children, Salome (born 1836). She was the wife of Rev. Henry F. Seiple, pastor of St. Peter’s Reformed Church in Hilltown Township, Bucks County, PA – the neighborhood where her mother grew up. Salome raised her children here, and one daughter, Hortense, married local Mennonite boy Allen Moyer and stayed in the area. Son Arthur Seiple became a medical doctor and moved to Kansas; the third child, Beatrice, married Dr. Archibald Olpp of West Hoboken who served as a U.S. Representative from New Jersey, 1921-23. St. Peter’s Church, Hilltown, where Salome Gross Seiple’s husband was pastor.